Christophe Harbour in St. Kitts has been a client and friend of ours since they broke ground 7 or so years a ago. 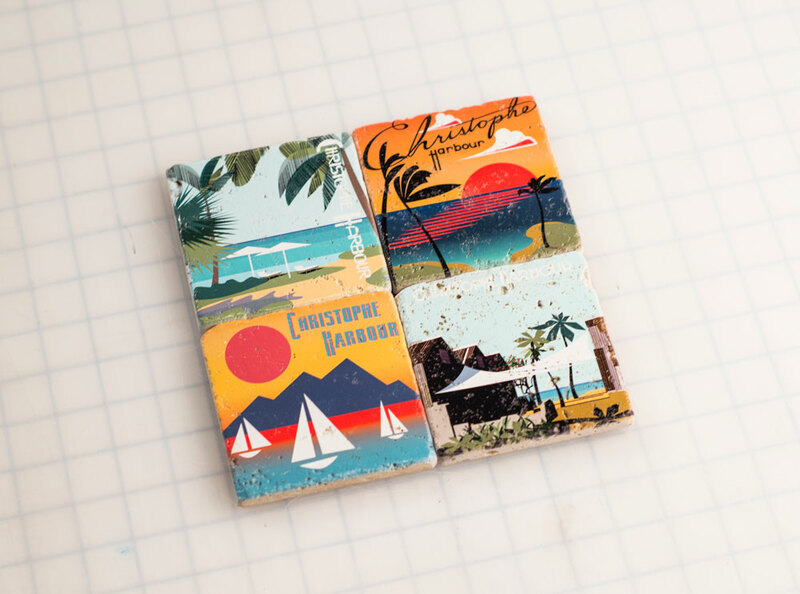 We are working on lots of cool stuff for them right now but i wanted to share these coasters we created for the members of Christophe Harbour. 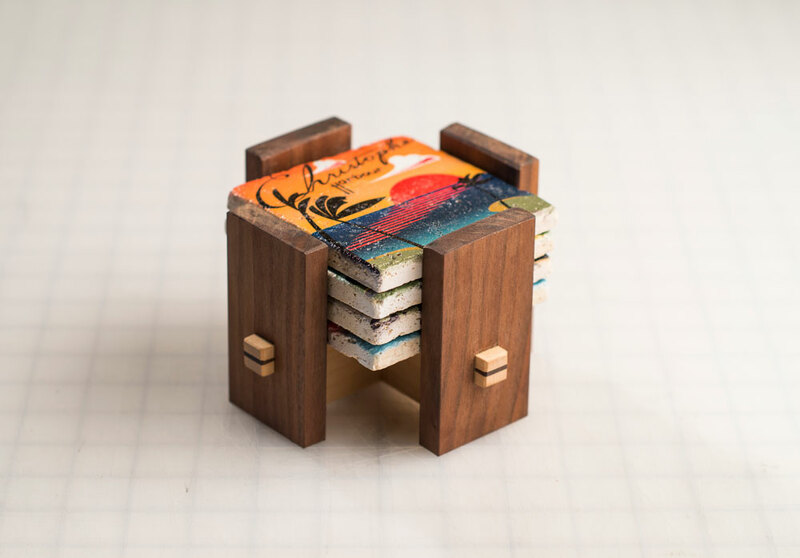 We created the illustrations/design of the coasters, had them produced on a stone substrate, then i got my talented friend, bob hines, to design and build the custom holder. pretty sweet.